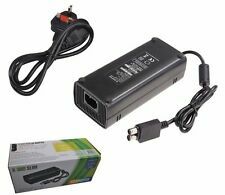 Microsoft Xbox 360 Kinect Sensor Mains Power Supply Adapter. Output Power: 135W. 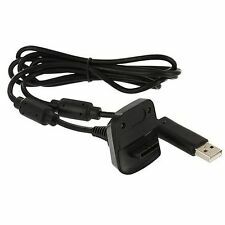 This xbox 360 slim adapter replaces any lost, broken AC power adapter for the xbox 360 slim system. There is a LED indicator light to display the power status of the xbox 360 slim system, and it allows the adapter to be used worldwide. Simple and easy to use; just plug in! This breakaway cable is compatible with Xbox 360 Rock Band and Guitar Hero wired guitars and drums, Dance Pads & any other gaming devices that utilize breakaway connections. 5 out of 5 stars - Microsoft Xbox 360 Kinect Sensor Mains Power Supply Adapter. 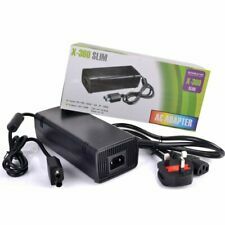 3 product ratings3 product ratings - Microsoft Xbox 360 Kinect Sensor Mains Power Supply Adapter. Compatible with: Xbox 360. Designed to provide the sharpest video and sound for your Xbox 360 system. Not compatible with: XBOX One. 1 X HD TV Component Composite Audio Video Cable. Cable Color: Gray. Compatible with Xbox 360 Slim consoles. A LED indicator light would display the status of the Xbox 360 E system. 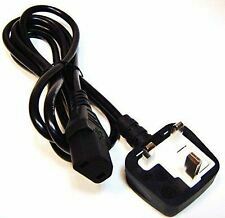 Ideal for replacing any lost or broken AC adapter for Xbox 360 E consoles. A must item for Xbox 360 E lovers and players. Compatible with: Xbox 360 E only. Description: Note: this one is for Xbox 360 Slim version, not for original xbox or Xbox one. This xbox 360 slim adapter replaces any lost, broken AC power adapter for the xbox 360 slim system. There is a LED indicator light to display the power status of the xbox 360 slim system, and it allows the adapter to be used worldwide. Replace any broken or lost xbox 360 slim AC power adapter. LED indicator light Auto voltage input: AC 100-240V~2A 47/63HZ Voltage compatible: worldwide Output: DC 135W 10.83A Approx Size: 17 x 7 x 5. ALL SOLD AS SEEN IN PICTURES. Compatible with: for Xbox 360 to Xbox One. A high speed, high quality, high definintion, low HDMI cable price. There is no need to compromise on graphics quality with this HD cable. Microsoft: Xbox 360 / Xbox One. HDMI Male (19pin) to HDMI Male (19pin) cables. Comes with 2800 mah battery pack and charging cable. All prices stated are in the currency specified. There are no hidden fees on the advertised price. Browse All. Gold plated Phono AV / S-Video / Optical Cable for XBOX 360. 1.2m Gold plated Phono AV / S-Video / Optical Cable for XBOX 360. AV, S-Video and Audio (L & R) RCA connections. Play high quality audio with the included Stereo connection or utilize the Optical Audio port for digital sound. Output Power: 135W. This xbox 360 slim adapter replaces any lost, broken AC power adapter for the xbox 360 slim system. There is a LED indicator light to display the power status of the xbox 360 slim system,and it allows the adapter to be used worldwide. 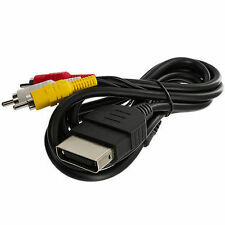 Component HD TV AV Cable Lead for Xbox 360. 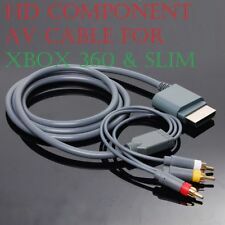 High quality Xbox 360 Component HD AV Cable. Provides much clearer image than provided by standard AV cable. Multiple HD modes: 480p, 576p, 720p, 1080i. Colour: Grey. 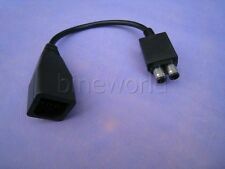 Compatible with: for Xbox 360 to Xbox E. Type: Cable and Adapters. Size: Cable Length: approximate 16cm / 6.30"(exclude plug). Note: Due to the difference between different monitors, the picture may not reflect the actual color of the item. Output Power: 135W. Note: this one is for Xbox 360 Slim version, not for original xbox or Xbox one.1 x AC Power Adapter for Xbox 360 Slim.1 x UK Plug Power Cord (With Fuse). Product Weight: 1.2lb. Compatible With Xbox 360 / Xbox 360 Slim. 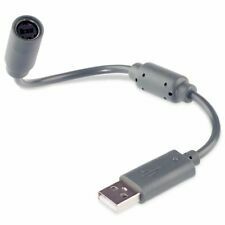 Optical RCA Audio Adaptor For XBOX 360 Cable. Dolby Digital 5.1 Surround sound output. Dolby Digital 5.1 Surround sound output. 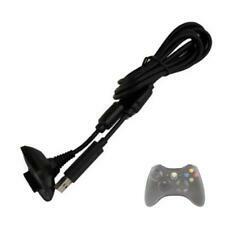 6FT HD HDTV AV VGA Video Optical RCA Audio Cable Lead for Microsoft Xbox 360. 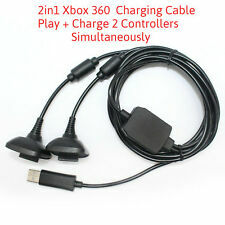 > 1x HD VGA Audio Video Cable for Xbox 360. > Use the Xbox settings to adjust resolution to the native size of your display output device. RRP: £7.99 - Limited Time Offer - Don't Miss Out!! Compatible with: Microsoft Xbox 360. Headset is not included. 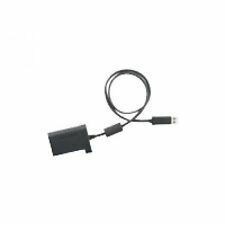 · OFFICIAL MICROSOFT XBOX 360 HDMI CABLE. Compatible with: for Xbox 360 to Xbox Slim. Type: Cable and Adapters. Size: Cable Length: approximate 16cm / 6.30"(exclude plug). Note: Due to the difference between different monitors, the picture may not reflect the actual color of the item. Compatible With Microsoft Xbox 360. Never runs out battery again while you are about to strike your final score. Cable length: Approx. aswe would love the opportunity to make things right. The use of a second Rocksmith Real Tone Cable allows for simultaneous split-screen cooperative play. The unique cable design ensures quick release of the guitar from the gaming console or computer to protect the player's gear. 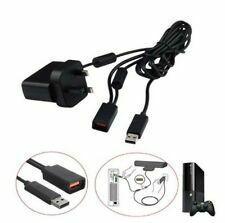 Kinect Xbox 360 Sensor Power Adapter, can be used on your Xbox 360 (all versions). Mains power and connectivity to the Kinect sensor on the Xbox 360 console. 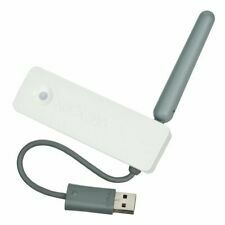 Official MICROSOFT Xbox 360 Wireless Network Wifi Adapter. Condition is Used. Dispatched with Royal Mail 2nd Class. > 1.8m long 3x RCA Xbox 360 AV cable. 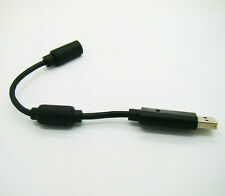 Buy this Xbox 360e AV cable with this gold plated connections for better graphics and audio. > Compatible with Xbox 360 E, (not Xbox 360 1st gen or slim). > Compatible : For Xbox 360 E (super Slim), not Xbox 360 or Slim. XBOX 360 SLIM. VERY GOOD CONDITION. FULLY WORKING.